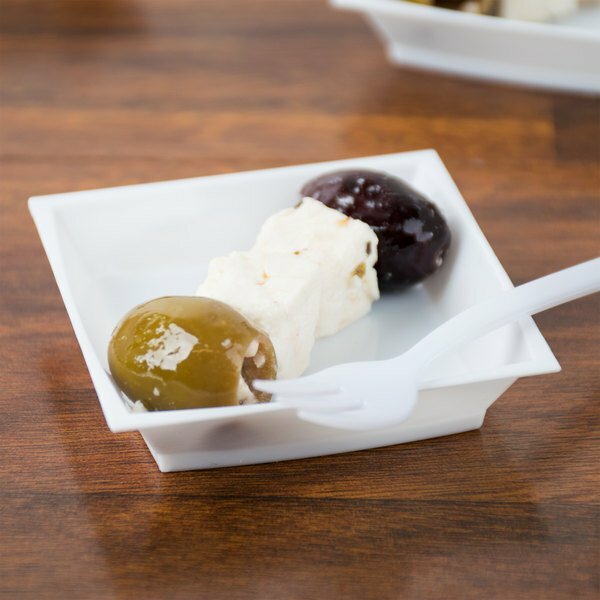 WNA Comet Petites, a line of small disposable serving products, is the ideal solution for presenting small plates, a leading trend in the catering and foodservice industry. 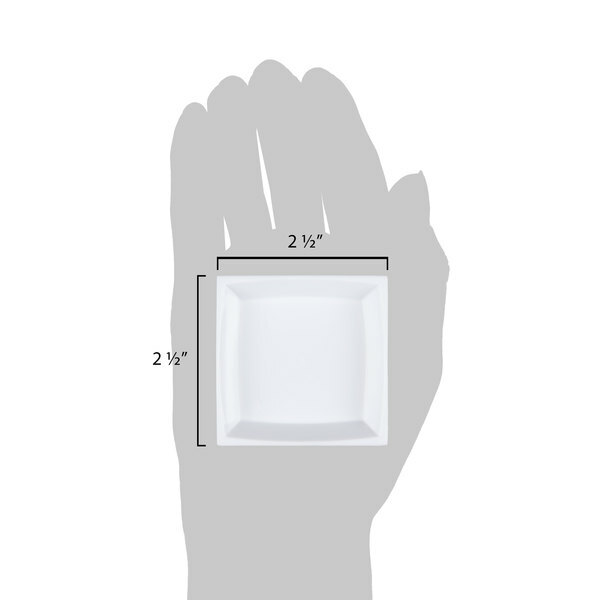 These WNA Comet APTSQ25 2 1/2" mini- square dishes, with a 1.5 oz. capacity, combine both style and versatility. 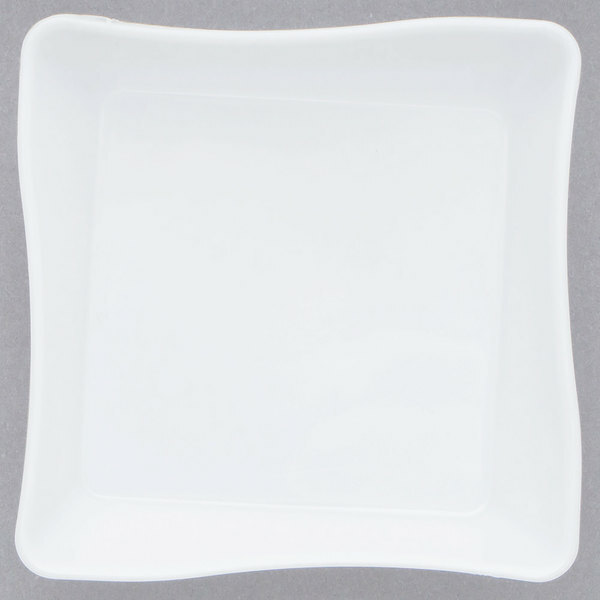 With a sleek, yet sensible design, these plates are ideal for appetizers, fresh fruit, bar snacks, and desserts. 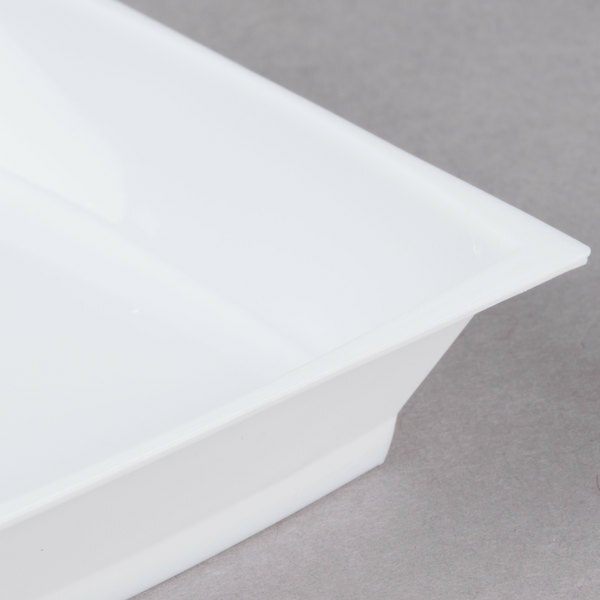 Added to plates and serving trays, they serve as elegant condiment dishes to frame culinary creations. 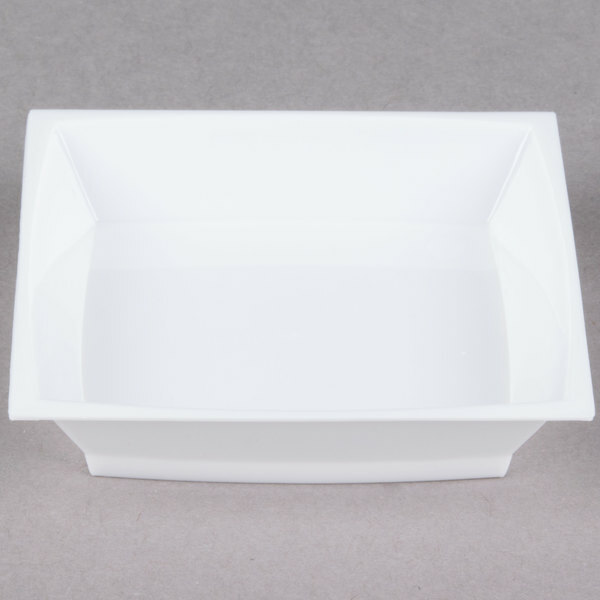 These square dishes are ideal for any occasion from casual dinners to elegant receptions. 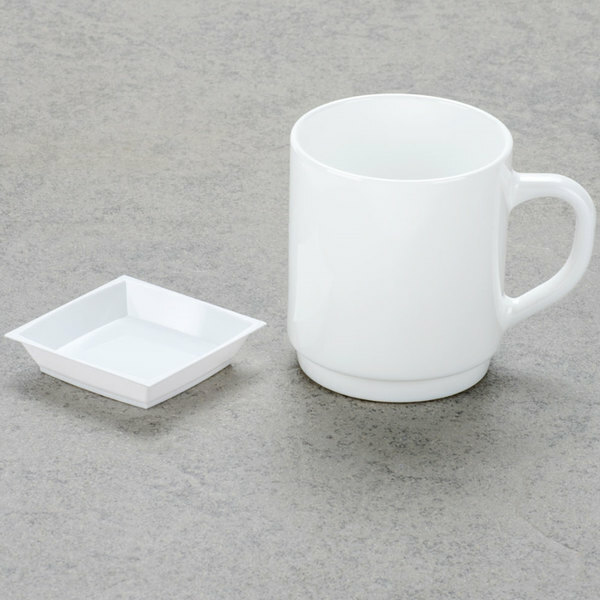 WNA Comet Petites are disposable, which alleviates all the hassles of permanent dinnerware (transportation, clean up, accidental disposal, and breakage), while maintaining an upscale, quality image. We have everything you need to complete your table settings for your catered event, wedding, shower, or special dinner, including many other lines from WNA Comet! You might like the classic look of their Masterpiece or Designerware patterns. We also carry their trendy Milan and Petites lines, too. Plus, we offer a variety of Reflections premium plastic flatware, napkins, tablecloths, and placements! Just the right size for the cocktail party and hourduerves that were served. Guest were able to hold the plate with ease and still mingle. I used these petite dishes to hold mini tea sandwiches at my sister's black and white Chanel themed baby shower. They went perfectly with the theme! 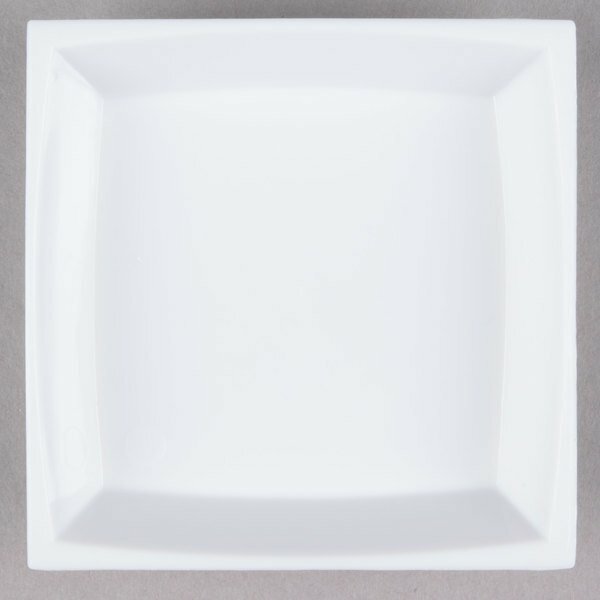 We use these petite plates for chocolate cake! they hold sauces beautifully!!! Perfect for a small plate of cookies or brownies! Good for serving fresh macaroons with a chocolate sauce!!! 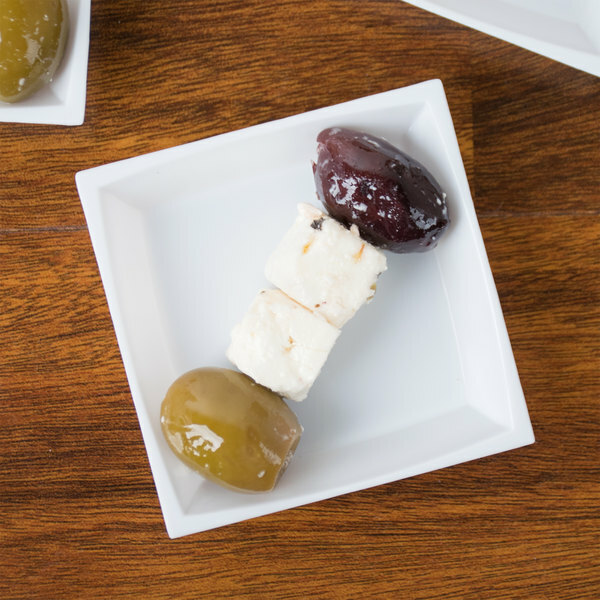 The Petite Squares are perfect for hor d'oeurves and make for a clean presentation. We recently also began using them for our dessert bars. Whether you're doing bite size pies or have a saucy hor d'oeurve these are a great deal, compact and very clean looking. I purchased these petite square dishes and used them to plate my keylime mousse cake. They were perfect and complimented my dessert very well. Will definitely purchase again!! Can you say GEORGIOUS!!! I used these for my son's 14th birthdsy party to hold wing dings and sauce. Everyone thought they were wonderful. A big hit in my book. Everyone wanted to know where I got them from. I couldn't wait to say Webstaurant Store. Beautiful and the perfect size for serving appetizers on. I'm catering a wedding in November and will be using these to serve my mini crudite's and also my shrimp cocktails. Perfect for catering and small tidbits. 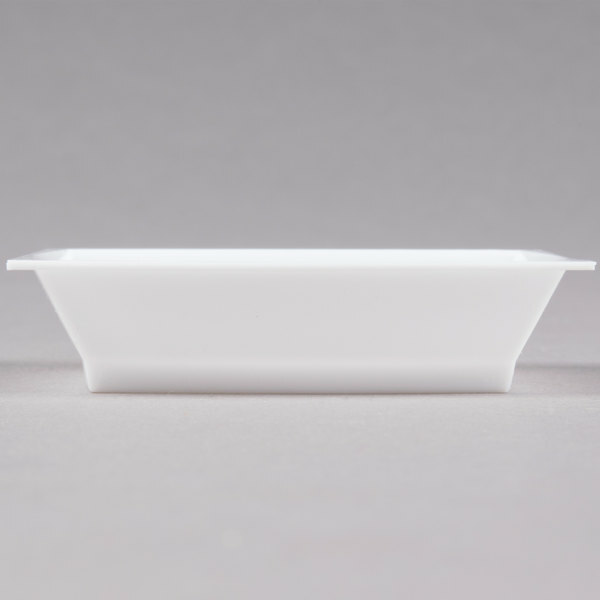 Great to serve from "walk around" trays and they're recyclable. The white is great for weddings and the black version is elegant, too. Save Up To $16.40 with our Recommended Product! 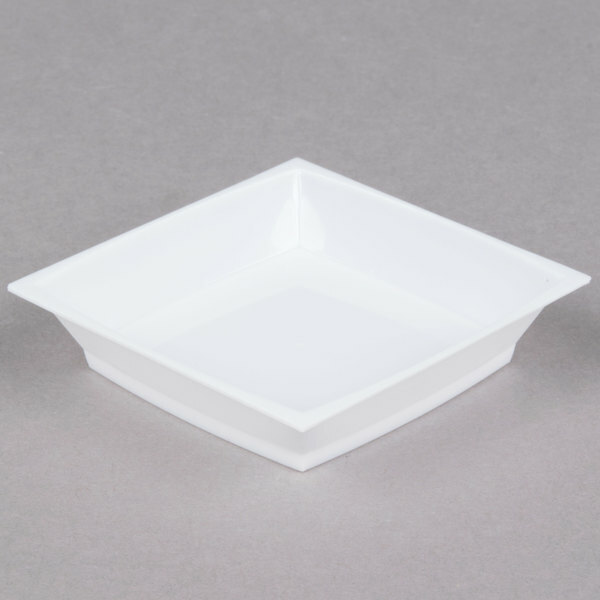 Check out this Fineline Tiny Temptations B6201-WH white plastic tiny tray item instead! Fineline offers a faster lead time and higher stock counts to ensure you get the product you want when you need it most.